Tree-Ripe Blog — Tree-Ripe Citrus Co. When life gives you snow, (so. much. snow.) we make lemonade! Well, at least we can provide the lemons. For the first time, we will be offering Meyer lemons! We wanted to surprise our customers with a final installment of our citrus season. We’ve found the best lemons we’ve ever had from a small family farm in Southern California. A Meyer lemon is a special variety, a regular lemon crossed with a mandarin. Unlike your run-of-the-mill variety, a Meyer lemon is lower in acidity than most lemons, strong in lemony aroma and taste, and boy is it beautiful! Smooth, round, and yolk yellow, this citrus has become sought after in the culinary world and with stay-at-home chefs. We also wanted to make this a special treat as appreciation for our customers. We’re introducing our lemons at $25 (approx. 9-10lbs) per box, including FREE SHIPPING! As Meyer lemons are a premium variety of citrus, we’ve seen prices in the grocery store for $3-4 per pound. What can you do with Meyer lemons? These are not your everyday lemons. However, you can use Meyers for everything use you lemons for now. Whether you’re cooking savory dishes or making desserts, the unique flavor of this lemon truly shines through. We made Meyer lemonade and were blown away by how delicious it was. They’re also perfect for making cocktails (think whiskey sours & sidecars). And if you need more ideas, check out this article from the LA Times with 100 ways to use Meyer lemons. Seeing that this is a first time for Meyer Lemons here at Tree-Ripe, we need your feedback. There are TWO seasons for Meyer Lemons: once in late winter and another during the summer. If you love our lemons, we may offer them as a part of our summer line up. Would you like to see that? Let us know below, or email us at info@tree-ripe.com! ✔️Meyer lemonade is the BEST lemonade! Combine ingredients, add ice, drink, and be refreshed! Serve chilled or on the rocks! What a smash this season has been so far! Satsumas became a surprise hit, Honeybells were as delicious as Honeybells can be, and we couldn’t be happier with the Honey Tangerine. It’s always a little sad to see those delicious varieties end their run for the season, but that’s not all we have to offer! Along with Ruby Red grapefruit and Elliot variety pecans, please check back here soon for an update regarding availability of our personal favorite: Temple Oranges! What a time to enjoy some Florida sunshine! With winter at its peak, you can now find the bright taste of our famous Honeybells to help get through these frigid January days. If you’ve never had a Honeybell before, you’re in luck! This citrus is a unique blend of zest and sweetness, ranking as the juiciest piece of fruit around. We take a lot of pride in this one-of-a-kind citrus, and we know you’ll enjoy it too. We’re finding the Honeybell crop to be of excellent quality, even though it’s a smaller harvest. Honeybells will be $35 + shipping for a 2/5 bushel box (approx. 20lbs) and will be available for home delivery. Shipping will begin on January 14th and continue while supplies last. Get you order in now! And if you’re interested in something else special, we’re reintroducing the Honey Tangerine! Many of our long-time customers will remember this variety, also known as a Murcott. This dynamite tangerine, often seedless, will only be available in January. You’ll find this tangerine has several unique characteristics, including a greenish-tint to its skin and a surprisingly bright, tangerine flavor. It boasts the highest sugar content of all our citrus varieties. And because of their smaller size, they’re perfect for school lunches and light snacks. 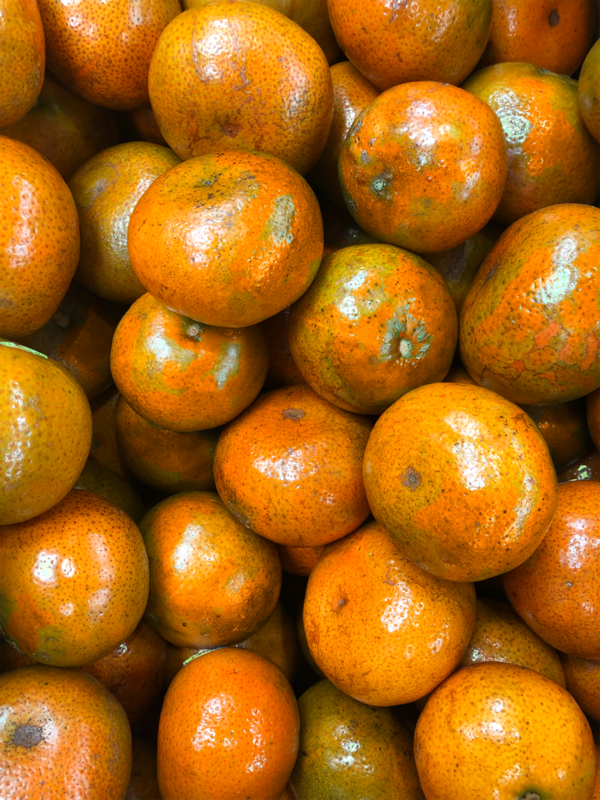 With this super-sweet tangerine, they will available in 3lb bags for $10. Grapefruit and shelled pecans will also be available through the rest of the season. These two, featured power-houses will no doubt satisfy your citrus craving while keeping you and your family healthy as we draw closer to spring. But don’t go too far, as February will bring its own delicious orange variety (our personal favorite!). Click each picture at the top of the page for a summary of each variety’s unique characteristics and let us know which citrus YOU love the most below! Click here to place your order. We’re excited to announce our lineup of winter citrus! Satsumas have been such a big hit with our customers that we are able to offer them again this December! We know many of our customers have been looking forward to Navel oranges, but unfortunately, we will not be offering Navel oranges this season. 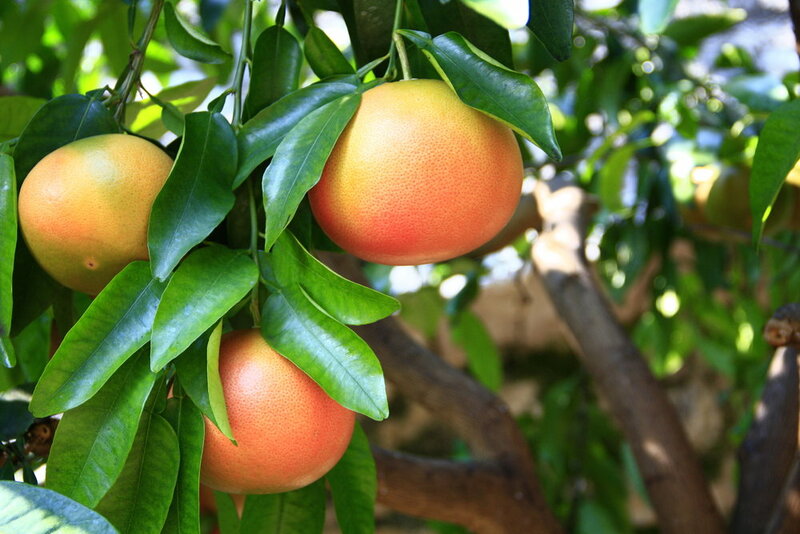 Additionally, we will be offering Ruby Red grapefruit starting in December through February as availability allows. Our famous Honeybells can be preordered and will be delivered in January, while Temple oranges are scheduled for February. If you would like to place an order for available fruit, go to our shop page now! Ruby Red Grapefruit There’s nothing like an Indian River grown Florida grapefruit! A true, mouth-watering piece of fruit. This is one of the healthiest fruits around, and absolutely delicious! Honeybells A variety that needs no introduction. Ever tried one? If not, you can learn more about Honeybells here. Honeybells are only harvested in January, and they’ll be gone before you know it! Temple Oranges This amazing cross between tangerines and oranges is regarded by many citrus connoisseurs to be the most flavorful variety of the season. They are harvested in February, and will be available to order in late January. 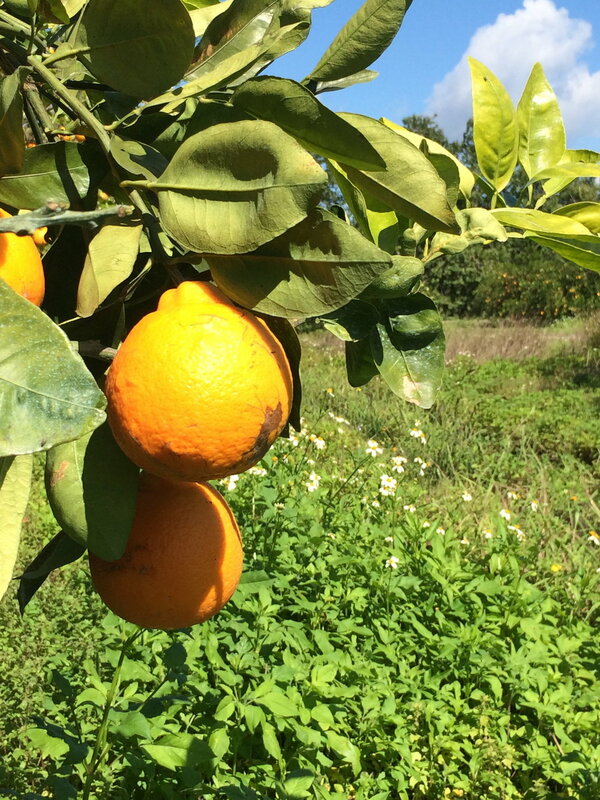 We’re looking forward to a winter full of delicious citrus. If you have questions regarding our citrus season, please see our previous blog post or email us at info@tree-ripe.com! Available December through February, while supply lasts. Available in December while supply lasts. Preorder in December, available in January while supply lasts. Preorder in January, available in February while supply lasts. Like most of our customers, we’re always sad to see the summer end. Knowing that we have to wait an entire year for more peaches and blueberries is tough. And of course, we look forward to the winter citrus season, even if it’s a long way off. But this summer helped us to appreciate how exciting it is to work with the best fruit and deliver it to our customers. With that in mind, we’re curious to see what other fruits match our standards of quality and provide you with something you’ll love. Therefore, we’re excited to let you know about a number of new fruits we will be trying out this year, and deliver them to your doorstep! 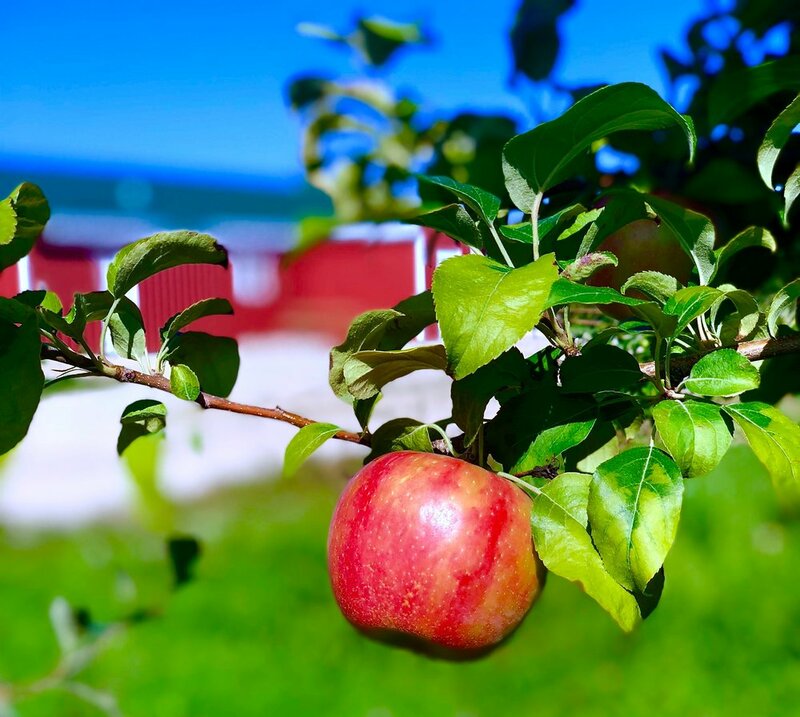 Wisconsinites look forward to picking apples every autumn, it’s a Fall tradition! We know there is such a difference in the quality of a freshly picked apple and that which has gone into cold storage. In fact, apples that go into the “distribution chain” go through quite a process. Typically apples are picked slightly unripe, treated with chemicals, and kept in frigid warehouses on average for 9-12 months! On the other hand, our apples will be harvested ripe, packed soon after, and sent to you within days. For many of our customers, when you can’t pick your own, getting freshly harvested apples is a challenge. So we want you to enjoy these sweet, crisp, and fresh apples grown in Wisconsin in your own home. What kinds of apples will be offered? Both varieties have unique characteristics, but are still personal favorites for their sugar content, flavor, and versatility. Why not try both? Hopefully in the future we will have more varieties available. How can you purchase them? If you love picking apples (or maybe apple donuts? ), have a wonderful time picking. Otherwise, we’ve got you covered with home delivery! Remember, we are viewing this as a first-time, trial run and there will be no truck locations with apples and our other, new fruits. If you are unfamiliar with our ‘truck sales’, click here. Or you can go to tree-ripe.com/shop for more information about our apples and place your order. Yes, summer is ending, but we love Fall and everything apple related. Do you? Let us know your thoughts in the comment section below, including any other fruits you’d like to see us bring. We can’t wait to get you these Wisconsin grown apples! Everyone has been wondering, how are the peaches this season? We are happy to report that our first few loads of peaches from Pearson Farms have ripened and we couldn’t be more excited! They have been amazing, some of the finest peaches we've seen in years. We know it has been a tumultuous last couple seasons with weather issues and crop damage. We felt it and we know you did too. Every season is unique and this year is exceptional. The fruit we’ve had so far has been consistent, sweet, juicy, and delicious. Don’t let it pass you by. These are the seasons to take full advantage of. Preserve as much as you can!! You will be so thankful when you have this year's fruit in the middle of February. If you are new to the process of canning and freezing, we are here to help. You can find a step by step guide for both canning and freezing on our website. And we rely on you, too! Our customers are our best resources for recipes and tips. Please share your experience and advice so that future generations of peach and blueberry customers can benefit from your expertise. We love seeing your beautiful pictures on Instagram and Facebook and cannot wait to repost, share and make your wonderful creations. If you are anything like us, when the season is over and our last peach has been eaten.....we hope we froze and canned and preserved enough. Last year didn’t give any of us the opportunity to do that. Our freezer was empty, too. We hope you’ll take advantage of this exceptional crop of beautiful peaches and use up as many as you can. Come winter, when you’re smelling sweet peach cobblers, pies, and oatmeal crumbles in the oven you’ll be so glad you did. We hope to see you at the truck often this year! Peach season has arrived, and we hope you're as excited as we are! What a difference a year can make. We’re beyond excited to report that we will have a summer filled with sweet Georgia peaches. While this growing season hasn’t been completely without its challenges, we fared significantly better than last summer. In 2017 Georgia and South Carolina lost almost their entire peach crop. This was caused by multiple factors, including a devastating freeze as well as a historically warm winter. Over this past winter, we had much colder temperatures and we reached the ideal amount of cold hours. Going into this summer, we expected a bumper crop. However, we again faced the dangers of freezing temperatures in March. We did lose part of the peach crop, but fortunately, escaped without extensive damage. We are also seeing trees producing somewhat fewer peaches than a normal season as they are recuperating from last year. What that means is Georgia won’t have quite as many peaches as we would in a normal season. Don't worry, though! There will be plenty of peaches for us here in the Midwest. What can you expect from this season’s crop of Georgia peaches and Michigan blueberries? We’re expecting very sweet peaches this summer! Also, due to not producing much of a crop last summer we anticipate larger sized peaches. We’re also returning to a normal season in terms of our scheduling, with our season beginning on June 20th and lasting until August 12th. For Michigan Blueberries this summer, it’s going to be a wonderful crop. 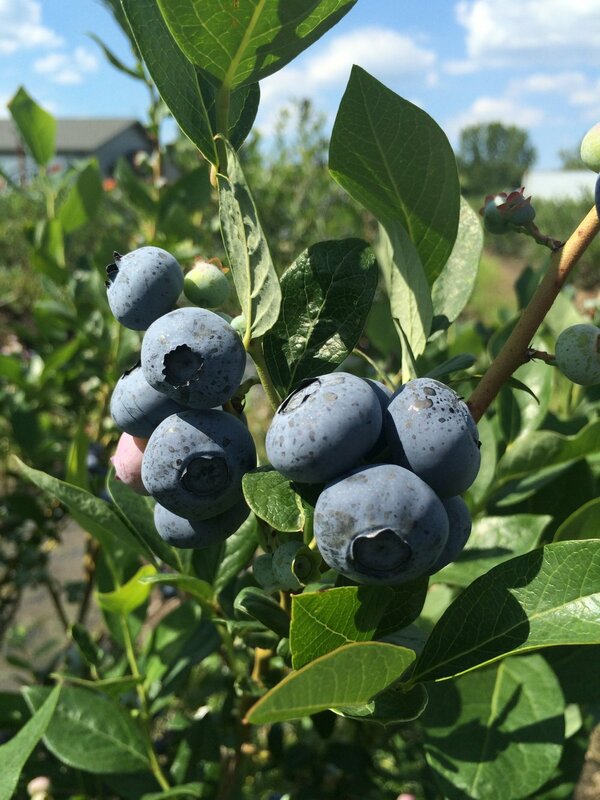 Our friends at Leduc Blueberries in Paw Paw, Michigan can barely contain their excitement for this year’s blueberry harvest. We’ve had an ideal growing season in Michigan. This is going to be one of the best harvests we’ve had in the last 15 years! Please keep in mind that the annual blueberry harvest traditionally begins a little later than Georgia peaches. This means that at most of our locations, our first visit is with peaches only. We will be offering blueberries beginning on or around July 4th, or as soon as they are available. As soon as the blueberries are ready to go, they will be available at all locations. For most customers this is our second and third visits of the summer. We will offer 5 lb. boxes of Michigan blueberries on our routes for as long as they are available during our season this summer. We’re also happy to let you know that blueberries will remain the same price as last season. We encourage you to visit our Facebook page for all breaking blueberry news. Beginning this season, you can now purchase at the trucks with a credit card! If you do pay by credit card, just make sure you stay on our mailing or email list so you always know when we’ll be visiting! 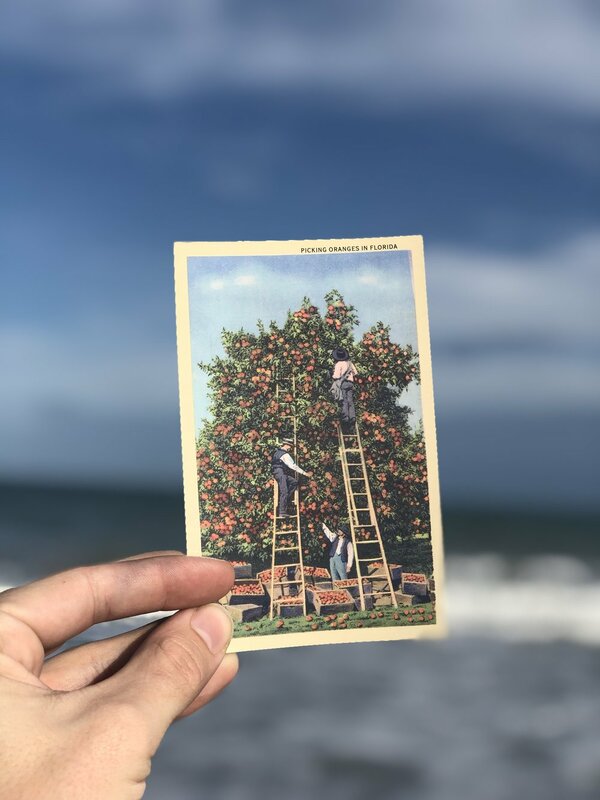 We always recommend staying updated on Facebook, we let everyone know immediately on Facebook if there are any issues with weather concerns, truck breakdowns, or fruit availability. Make sure to carefully check for any changes to your scheduled stop. Each season we do make minor changes to our schedule. For example, we are not able to visit lower Michigan this summer. We have, however, added 3 new locations (Brillion, Lake Mills, and Pewaukee). We’d also like to thank one of our new partners Shopko, we’ll be visiting 12 Shopko locations this season. Our "Market Truck" will also be visiting select locations, and farmer's markets this summer. For a detailed listed of locations and times, click here. It's going to be a wonderful summer, filled with Georgia peaches! We can’t wait to bring you the freshest, sweetest, and juiciest peaches and blueberries around...We’ll see you at the truck!